Robert B. Darnell, M.D., Ph.D.
Studies RNA genomics in neurological disease and cancer. Darnell uses high-throughput sequencing and other techniques to investigate the proteins that regulate RNA and thereby affect gene expression. He became interested in this system through his study of naturally occurring tumor immunity associated with a group of rare brain disorders. His interests have since expanded to neuron-specific RNA-binding proteins in the mammalian brain, and more generally to functional genomics and human disease. Darnell’s work identifying the target proteins for a group of rare brain disorders has led to an emerging understanding of the roles of RNA regulation, including the discovery that neurons make a unique set of RNA-binding proteins. These interests grew from studies of paraneoplastic neurologic disorders (PNDs), diseases thought to arise when certain tumors—typically breast, ovarian, or lung cancers—start making proteins normally unique to the brain. Using a combination of biochemical and genetic approaches, Darnell’s lab discovered that the immune systems of PND patients thwart tumors with what is essentially an antiviral response: CD8+ killer T cells that recognize the neuronal antigens present within their tumors. The lab also found that apoptotic tumor cells serve as potent instigators of the T cell immune response and has worked on developing cancer vaccines to mimic PND tumor immunity. Their work demonstrating that killer T cells mediate naturally occurring human tumor immunity has provided key support for the emerging field of immuno-oncology. This research merged with studies of PND antigens: What is their normal role in neurons, and why do tumors induce their expression? These questions led Darnell’s lab to discover and explore the function of neuron-specific RNA-binding proteins in the mammalian brain. Core studies of RNA regulation focused on the neuronal actions of the PND antigens Hu (nElavl), Nova, and the related protein FMRP, whose function is lost in fragile X syndrome. The lab then expanded these investigations to include other proteins, such as Argonaute (which works with microRNAs to regulate messenger RNA), as well as Ptbp2, Mbln2, and Rbfox. To understand the biochemistry of these proteins in the brain, the lab developed a general and powerful method called cross-linking immunoprecipitation, or CLIP, to create genome-wide maps of RNA-binding protein interaction sites in living tissue. CLIP, together with the analysis of knockout mice and bioinformatic approaches, led to the discovery that the position of protein binding in the messenger RNA is a prime determinant of the outcome of alternative splicing or polyadenylation, general rules applicable to many splicing factors. Recent computational improvements in the analysis of CLIP maps have allowed robust genome-wide predictions of combinatorial RNA regulation and single-nucleotide resolution of such sites in the brain. The lab has also developed functional insight into RNA dysregulation in disease, including that mediated by FMRP in autism spectrum disorders, by Ago in hepatitis infection, by nElavl in Alzheimer’s disease, and by Nova in axonal guidance and brain development. Studies with Nova have led to insight into the balance of neuronal inhibition, excitation, and control of spinal motor neurons, leading to new approaches to study neurodegenerative disorders such as Lou Gehrig’s disease. Darnell’s interest in applying high-throughput genomics to better understand RNA regulation in human disease led to his leadership role at the New York Genome Center. Hwang H.W., et al. cTag-PAPERCLIP reveals alternative polyadenylation promotes cell-type specific protein diversity and shifts Araf isoforms with microglia activation. Neuron 95, 1334–1349 (2017). Korb E., et al. Excess translation of epigenetic regulators contributes to Fragile X Syndrome and is alleviated by Brd4 inhibition. Cell 170, 1209–1223 (2017). Luna, J.M. et al. Hepatitis C virus RNA functionally sequesters miR-122. Cell 160, 1099–1110 (2015). Darnell, J.C. et al. FMRP stalls ribosomal translocation on mRNAs linked to synaptic function and autism. Cell 146, 247–261 (2011). Chi, S.W. et al. Argonaute HITS-CLIP decodes microRNA–mRNA interaction maps. Nature 460, 479–486 (2009). Scientists found that inhibiting a regulatory protein alters the intricate signaling chemistry that is responsible for many of the disease’s symptoms. 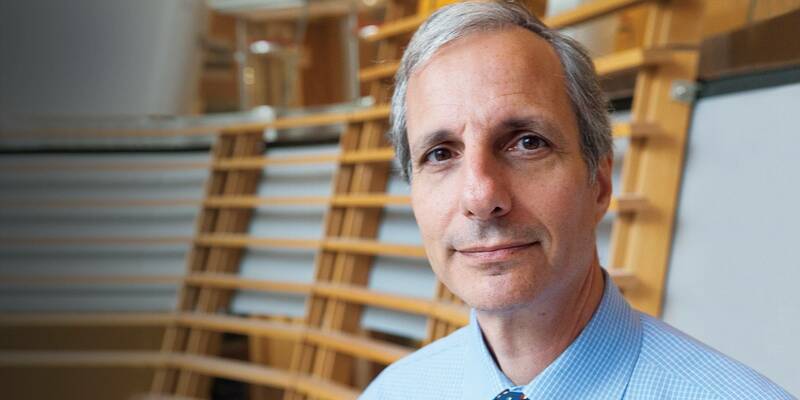 The findings provide a path to possible therapeutics for disorders associated with Fragile X.